For more than thirty years, Construction Project Management has been considered the preeminent guide to all aspects of the construction project management process, including the Critical Path Method (CPM) of project scheduling, and much more. 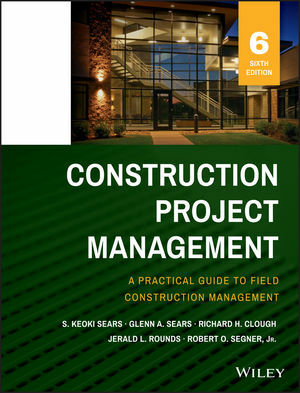 Now in its Sixth Edition, it continues to provide a solid foundation of the principles and fundamentals of project management, with a particular emphasis on project planning, demonstrated through an example project, along with new pedagogical elements such as end-of-chapter problems and questions and a full suite of instructor's resources. Also new to this edition is information on the Earned Value Analysis (EVA) system and introductory coverage of Building Information Modeling (BIM) and Lean Construction in the context of project scheduling. Readers will also benefit from building construction examples, which illustrate each of the principles of project management. This information, combined with the case studies provided in the appendix, gives readers access to hands-on project management experience in the context of real-world project management problems. Construction Management and Civil Engineering students and professionals alike will find everything they need, to understand and to master construction project management in this classic guide. S. KEOKI SEARS is a Project Manager and owner of Project Catalyst Corporation, based in Durango, Colorado. GLENN A. SEARS is an active consultant in construction technology and management. RICHARD H. CLOUGH was Dean of the College of Engineering, University of New Mexico. JERALD L. ROUNDS is professor emeritus of Construction Management and Construction Engineering at the University of New Mexico. ROBERT O. SEGNER, JR. is professor of Construction Science in the College of Architecture at Texas A&M University.